Familiar foes will face off in Pool A.
It’s been six years since Revolver lost a pool play game at Nationals, so don’t hold your breath for a wild result at the top of Pool A. But three balanced teams below the defending National and World champions should make for compelling stories and close games. Revolver, High Five, and Sub Zero were together in Pool A last year as well, as Madison replaces Doublewide. High Five smacked Sub 15-10 a year ago, but this year Minneapolis is 2-1 against Michigan and looks like the team with more upside. Madison is also plenty capable of making a run: they just need their top players to have a big morning. They open up against High Five and Sub back to back. The 2018 edition of San Francisco Revolver has been far from perfect, though once upon a time assistant coach Mike Payne said the team’s mission was to play the perfect, no-turnovers, 15-0 game. Lucky for Revolver, the era of the Triple Crown Tour hasn’t demanded perfection in order to win a championship, or even to top the rankings algorithm. Again the the tournament’s overall No. 1 seed, Revolver lands in a strong position to take their pool on the way to the bracket. Their individual talent, coupled with a system that continues to put talented players in one-on-one matchups in open space, makes them the obvious favorite. Even Minneapolis Sub Zero, who managed to hand Revolver one of their two regular season losses back at the US Open, faces a steep uphill climb in pool play.3 Revolver hasn’t lost in pool play since the beginning of the Triple Crown Tour. 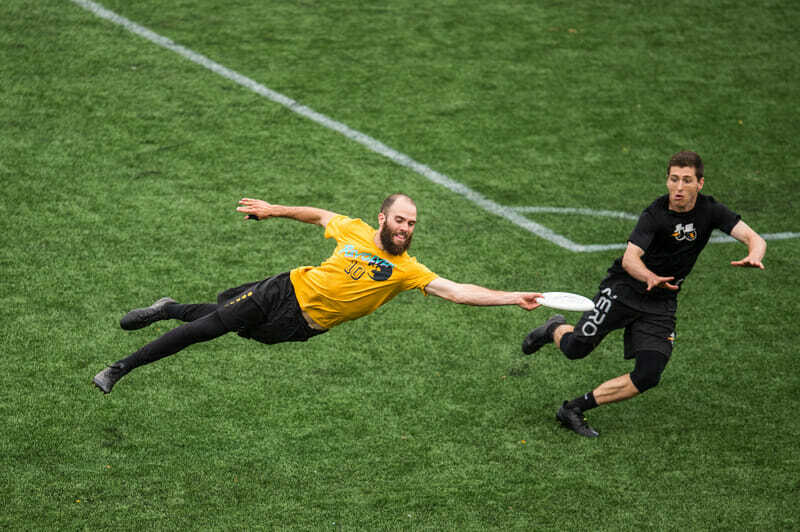 Teams that have succeeded against the Bay Area juggernaut in recent years have been deadly when Revolver turns the disc over. Unfortunately, the postseason trends we have suggest that, by October, the title favorites usually have their lines set and all turnovers coming at a high premium. It’s going to take more than a confusing zone or windy conditions to unseat the most dominant men’s division team in the last decade. After the core of the team took home their first AUDL championship just over two months ago, chemistry is on the side of Madison Club. The catch is, they haven’t faced a field full of Nationals-level competition since Pro-Elite Challenge back in early July. And when they have faced elite-level competition this season, it hasn’t gone particularly well: Three of Madison’s four losses this season have come against teams in the top seven, including a pair of blowout losses to Seattle Sockeye. The picture for Mad Club at Nationals gets a little murkier—they haven’t played Revolver this season, but they have played Sub Zero and High Five and lost to both. That type of experience can be viewed at least two ways. Both opponents seeded below Madison will have some confidence coming into their games. Alternatively, facing two teams that have handed them losses over the course of the regular season can mess with a team’s mental preparation. Either way, the familiarity breeds some intrigue. Madison’s success may hinge on how they handle the jump balls, floaty discs, and one or two weird turnovers the crop up over the course of Thursday and Friday play; that’s how close they are this year with the rest of the pool. And if they can avoid losing out, they’re likely headed for a crossover game with Vancouver Furious George (yet untested) or Chicago Machine (a team they’ve beaten). Before turning in a flawless weekend at North Central Regionals, Minneapolis Sub Zero was busy with a regular season full of repeated competition against Nationals-level teams. Sub’s core has gotten younger and more explosive, and they’ve picked up the never-give-up tenacity it takes to win close games. 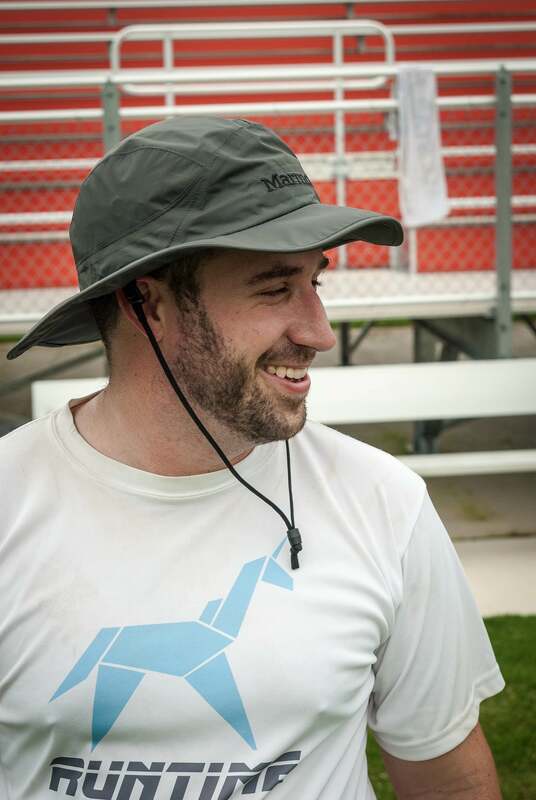 Minneapolis’s win over Madison Club to win Regionals is an added feather in their cap after taking down Revolver at US Open—those are two significant wins this season that means they have a very solid draw in pool play. But those kinds of statement wins can also be the undoing for a team with a hungry young core. Bring just a shred of overconfidence to the fields against Madison Club and the scales will tip the other way. There’s a flavor of high-upside to 2018 Sub Zero: look no further than their scores this season against Michigan High Five: 13-12 (W), 15-9 (W), 15-8 (L). Even taking that third result with a grain of salt (it was the seventh place consolation game at US Open), it’s a big enough margin to think twice before betting on Sub to make huge waves this weekend. The promised crossover with Pool D does bode well for Sub. They also have a win against Chicago Machine from earlier this year and they’ve got the speed to shut down the booming deep game that Vancouver Furious George likes to play. At 14-10 this season, Michigan High Five will take the field in San Diego having not won a meaningful game4 against at team in the Nationals field since beating Atlanta Chain Lightning at Elite-Select Challenge. They do, however, have the versatility of sets and fearlessness that it takes to compete at this level. There isn’t a ton in their season so far to suggest that they have the talent ceiling to push deep into the tournament, but they do have the capacity to pull off upset wins and catch opponents sleeping. High Five is not a bottom of the pool team that’s just happy to be here. Comments on "Club Championships 2018: Pool A Preview (Men’s)"